The way you start your day is very important. It will affect the rest of your day. Do you check your email to find all sorts of questions from clients? You will start your day feeling stressed. Did you snooze for such a long time that there is no time to have breakfast and are you rushing to work? You will be stressed. No matter what your occupation is, the first thing you do in the morning matters! What’s your excuse? Do you think that you just don’t enough time to cultivate your own morning rituals? Wrong. Make time & take time. Make yourself some tea, shower for 10 minutes, read the paper, listen to calming music, maybe even stretching or doing a yoga routine… Have breakfast – whether this is a juice, smoothie, oatmeal or something else – take your time. I can hear you. “I hate getting up early, I don’t think it’s worth it!”. I must say, during winter times I’m not really a morning person either. 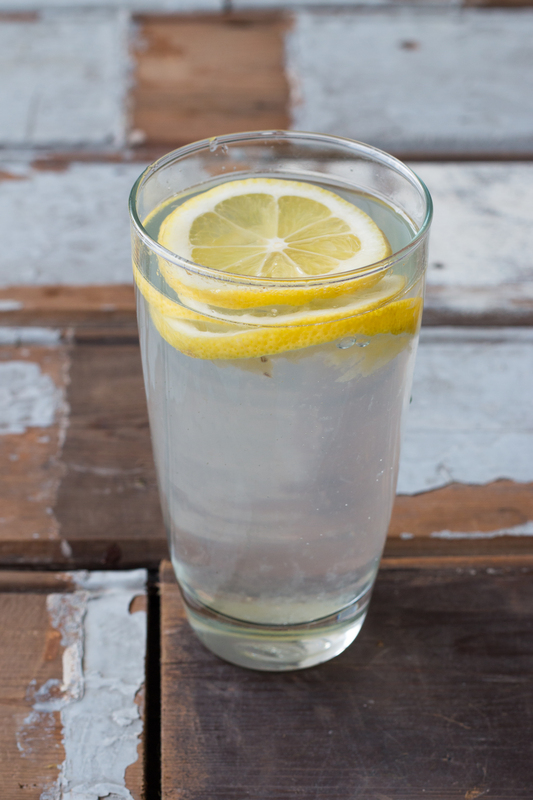 If you can only find time for one new morning ritual, let it be drinking warm lemon water! It’s fast, simple and has tons of benefits. Lemons are high in Vitamin C (great for fighting colds) and potassium (stimulates brain and nerve system and helps control blood pressure). Lemons are an incredibly alkaline food. Yes, they are acidic on their own, but inside our bodies they’re alkaline* (the citric acid does not create acidity in the body once metabolized). As some of you health nuts know, an alkaline body is really the key to good health. Read more about it here. Lemons are high in pectin fiber, which helps fight hunger cravings. It also has been shown that people who maintain a more alkaline diet lose weight faster. And, my experience is that when I start the day off right, it’s easier to make the best choices for myself the rest of the day. The warm water serves to stimulate the gastrointestinal tract and peristalsis—the waves of muscle contractions within the intestinal walls that keep things moving. Lemons and limes are also high in minerals and vitamins and help loosen ama, or toxins, in the digestive tract. Lemon juice helps flush out unwanted materials because lemons increase the rate of urination in the body. Toxins are, therefore, released at a faster rate which helps keep your urinary tract healthy. This cup of goodness helps start the day on a hydrated note, which helps prevent dehydration. When your body is dehydrated, or deeply dehydrated (adrenal fatigue) it can’t perform all of it’s proper functions, which leads to toxic buildup, stress, constipation… Your adrenals happen to be two small glands that sit on top of your kidneys, and along with your thyroid, create energy. They also secrete important hormones, including aldosterone. Aldosterone is a hormone secreted by your adrenals that regulates water levels and the concentration of minerals, like sodium, in your body, helping you stay hydrated. Your adrenals are also responsible for regulating your stress response. So, the bottom line is that you really don’t want to mess with a deep state of dehydration. 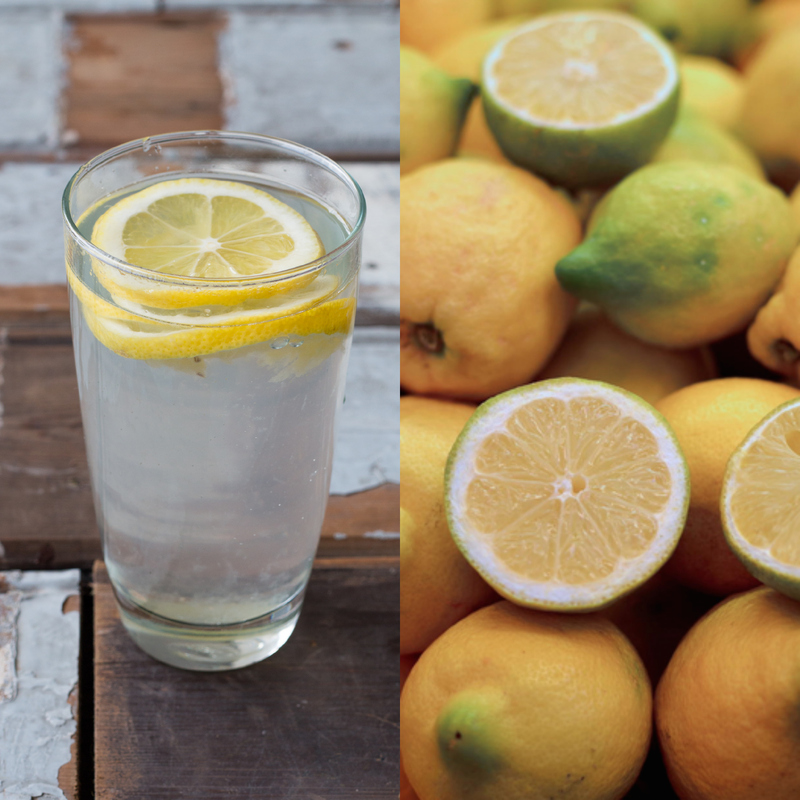 Drink your water and start your day with lemon water! I love coffee. But it doesn’t love my body. It affects my nervous system, digestion, and energy, and not in a good way. I try to drink as less coffee as possible (about 4 cups of coffee a month). If you’re looking for a way to kick the habit, this might help you. You’ll have something to replace it, a warm and energyzing drink. If you’re looking for something more tasty; fresh apple juice with ginger also does the trick! Are you convinced? Join the conversation! Add me on Google+ too, if you’d like! Ive been following you, do you have a daily schedule? Hey, good idea – I will make a blogpost about this tonight :).